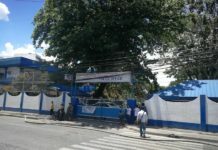 MALAYBALAY CITY (MindaNews / 8 Feb) – The different agencies concerned should ensure that the poor and the general public have a good access to justice in Bukidnon by strengthening all pillars of justice, stakeholders said on their insights for justice in the province in their responses to Bukidnon 2018: Public Outlook Series. Lawyer Phoebe Toribio, retired provincial prosecutor, said the weak pillars of justice affected so much the administration of justice, which in turn causes the commission of more crimes. She said if people see that justice is delayed and so not served promptly, this would embolden the criminals to continue. The priority should also be given for the poor to access means to seek justice because they are marginalized. The limited number of courts and judges, and other shortcomings of justice pillars, have affected how the poor can access justice in the province, said Toribio, who served 21 years as a public prosecutor. Access to justice is a right guaranteed under the 1987 Constitution. Article III, Section 11 states: “Free access to the courts and quasi-judicial bodies and adequate legal assistance shall not be denied to any person by reason of poverty.” The Supreme Court, recognizing access to justice as a constitutional right, said the right of access to justice is the most important pillar of legal empowerment of the marginalized sectors of society. Toribio said because of the difficult situation of the poor facing cases in Bukidnon, there was a time when she decided to issue “warrants of arrests” even to those who filed cases “just so they can travel from their remote communities to the courts in Malaybalay City”. She clarified that she has to inform the complainants and the police of the scheme as the only means for them to get access. The police, she said, will “arrest” the poor by fetching them from their homes, and bringing them back, on the day of the hearing of their cases. “They have no fare. Some of them even come here without money for breakfast and lunch,” she said, referring to persons who filed cases from far-flung barangays in southern Bukidnon. Currently, Bukidnon has three RTCs in Malaybalay and one in Manolo Fortich. Lawyer Gerardo Murillo, Dean of the College of Law of Bukidnon State University, said government must strengthen the five pillars of justice in Bukidnon, and one of the most basic is the opening and operationalization of more courts. Murillo said there is a lot of work needed to be done for the five pillars of justice, which he said function like a link because they are interconnected to each other. The five pillars of the Philippine criminal justice system are the courts, the prosecution, the corrections, enforcement and the community. “If one of them is weak, it will affect the administration of justice,” he added. “This will result in the public’s lack of confidence on our justice system,” Murillo added. He said there is also lack of lawyers practicing in Bukidnon, citing there are only around 100 for the province with a population of 1.415 million. Lawyer Burt Estrada, former president of the Integrated Bar of the Philippines Bukidnon chapter, said it is high time to operationalize new regional trial courts and open more in Bukidnon to avoid “justice delayed, justice denied” situations in the province. “As a practicing lawyer, my wish is that the new courts are made operational, more courts are created and that the vacancies in the judiciary, prosecution service and PAO (Public Attorney’s Office) are filled up. I wish all these so that the administration of justice in our province is improved,” he added. Estrada said the delay in administration of justice may result in the civilized system losing trust in the justice system and may cause them to take extra-judicial measures. He lamented the overload of cases in the existing courts and also the clogging of inmates among jails in the province because of the lack of operational courts. 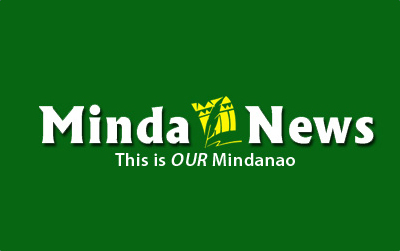 Although he said the people in Bukidnon are relatively tolerant and patient, he said it may still cause frustration among their clients,” which he said is a “real threat”. According to information from the Regional Trial Court Branch 8, through the IBP, as of December 31, 2017, their branch has a total case load of 1,749. Branch 9 has 1,459 and Branch 10 has 2,086 cases. Toribio said RTC-8 and RTC-10 each has two judges alternating the use of only one sala. “Where are the court buildings and human resources?” she added. 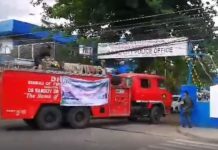 As of January 31, there are a total of 618 inmates in Valencia City Jail, 425 in Malaybalay City Jail and 1,163 inmates in the Bukidnon Provincial Detention and Rehabilitation Center (PDRC). She said the jails are over congested because the PDRC was built to house only around 300 inmates. Toribio said the local government unit could do a lot to help address the woes of the local branch of the Philippine justice system. “They can help build the infrastructure and also lobby further with court administration,” she added. Estrada noted that since way back 2012, the Court Administration of the Supreme Court approved to open four new courts in Bukidnon but only two new judges were appointed. But as of this writing, they do not have their own branch yet with separate staff. He said that of the approved new courts, there are two additional judges that are yet to be appointed. The lack of courts and judges is a big loss to Bukidnon as the normal case load per court is around 300 to 400 cases. “For lawyers, this is becoming frustrating, what more for clients? This is more frustrating to our clients” Estrada added. He said they have lobbied for additional courts because Bukidnon has almost the same population as Misamis Oriental but there is a wide gap between the numbers of RTCs in the two provinces: 4 against 19. According to the Philippine Statistics Authority, Bukidnon, including its two cities, has a population of 1.415 million in 2015 while Misamis Oriental, including Cagayan de Oro, has 1.565 million. Estrada said the situation has worsened as it takes a year now to resolve a bail hearing. Based on experience, he said there are a total of 30 cases scheduled to be heard in a day. But he noted that on the average only around five hearings actually happen. “If there are postponements due to a number of factors, the case’s schedule will be reset, adding to the delay,” he said. Toribio, who noted that one judge recently had a load of 80 cases in one day, said the earliest possible date for postponed cases is three months after. The IBP, Estrada said, has passed several resolutions urging the court administrator to open new courts and appoint new judges and even had dialogues with Gov. Jose Ma. R. Zubiri Jr. to help in the problem. But he said they were told the problem is the budget. He said they have planned to appear at the Supreme Court to appeal for more courts and judges. Estrada said legislation is needed for additional budget for the courts. Juanito Aroa, former general manager of a local water district, said the problem of lack of courts has been a predicament of Bukidnon for a long time. He said there were inmates before who were detained from 8 to 10 years without progress in their cases. Aroa, now retired, said the government should prioritize hiring of new judges and opening of new courts. The local government officials play a vital role in this, he added. “It appears that the local officials are remiss or adamant in pushing hard for this agenda. Most of our top local officials lack the so-called ‘political will’,” he said. Estrada said there is also a need to speed up filling up of vacant posts among the prosecutors as there are not enough prosecutors and in the Public Attorney’s Office. “The LGUs can also appoint and fund salaries of special prosecutors,” he added. He said this has been done by the provincial government, which can be replicated in the two cities. Sherrymae O. Velos, President of the Integrated Bar of the Philippines in Bukidnon, said it is their aspiration that the LGUs will help ensure that the marginalized and the powerless sectors of society have access to justice. She said they expect to have more programs in cooperation with all government agencies and private companies in maintaining the peace and security of our province. “We commit in continuing to promote peace, security and justice in the practice of our profession and in the discharge of our public responsibility,” Velos added. She noted that the partnership between IBP and the Provincial Government for the expanded legal aide is unique to Bukidnon because it was not forged in other IBP chapters. Estrada said that every IBP chapter is required to provide free legal aid to indigent parties. He said the provincial government provided financial support to expand the aide so they can provide more lawyers and hire paralegal staff. “Interestingly enough, the overall performance of the CJS may be determined by the performance of the Courts’ Pillar. The performance of the courts therefore would serve to synthesize to a large extent the overall performance of the criminal justice system,” it added. Toribio said, however, that the community also has a stake on the state of the justice system. She cited complacency of citizens to report crimes and testify in court. She said government should help citizens be enabled to report using high technology gadgets to avoid being exposed to retribution. “The community plays an important role in crime detection, prevention and solution by providing information to proper authorities on illegal acts in their communities,” Aroa added. He noted that government and other sectors like media should assist and help provide motivation to sustain their brave contribution. But Estrada said there is a lot to learn from the indigenous peoples on their traditional way of dispensing justice. Estrada, a member of the council of elders of the Bukidnon Tagolwanen of Malaybalay City, said the “husay,” the IP way of administering justice, is attuned with the natural law, showing their organized governance and legal system. “It was sophisticated but it was just altered by the current system. Now we are seeing its resurgence in the province,” Estrada pointed out. He said it could be due to their right to self-determination “but it could also be a reaction to the current state of justice”. He said the cultural way of doing it is to proceed with “husay,” which is interest and not rights-based. He said if one has been in conflict with their rules, they work for the restoration of the “harmony of the community”. They will sit down and talk about it and not resort to filing of cases for violation of rights. “For the tribes, there is no unity if you use the path of hate, there are more ways to resolve conflicts around it,” Estrada said. He said it would be good if people will learn and live the principles enshrined in the Bonkatol ha bulawan daw nang ka tasa ha lana or the basis of their values system. He cited the principles as mutual recognition and respect (kilalaha), mutual sharing of information (sayuda), cooperation (buliga), mutual protection and preservation of life (uyaga) and mutual obligation to help the needy (pagbatunbatuna).